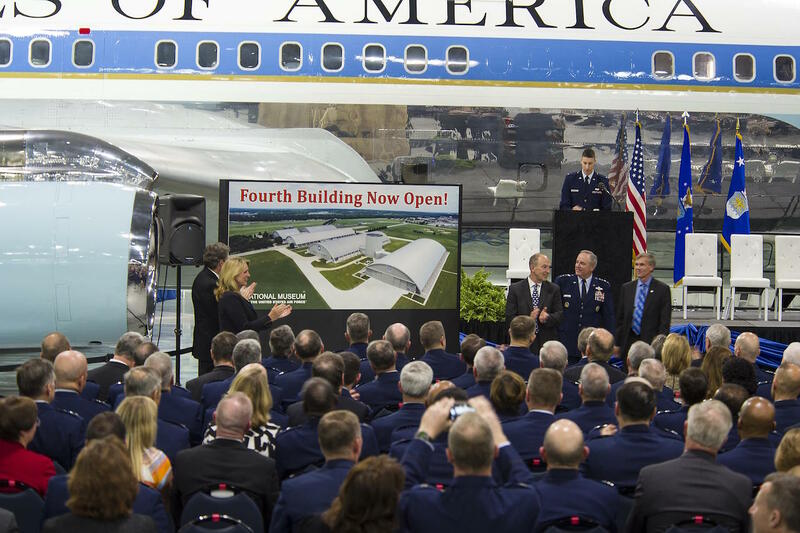 PRESS RELEASE – Visitors from around the world can once again walk in the footsteps of presidents, astronauts, test pilots and those brought out of captivity as the National Museum of the U.S. Air Force opens its fourth building on June 8.The new $40.8 million, 224,000 square foot fourth building, which was privately financed by the Air Force Museum Foundation, will house four galleries – Presidential, Research and Development, Space and Global Reach, along with three science, technology, engineering and mathematics (STEM) Learning Nodes. 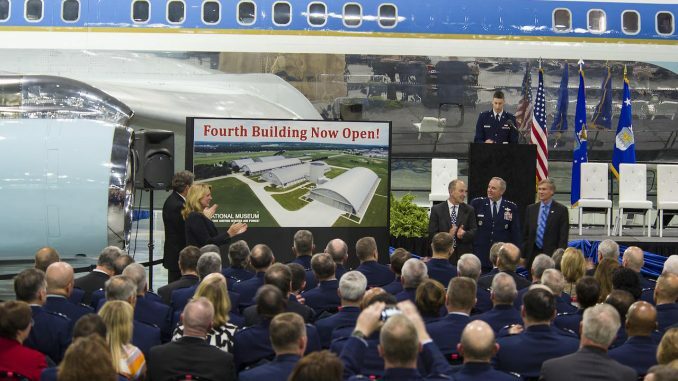 Among the stories found in the fourth building will be the VC-137C Air Force One (SAM 26000), which was used by eight presidents – Kennedy, Johnson, Nixon, Ford, Carter, Reagan, George H.W. 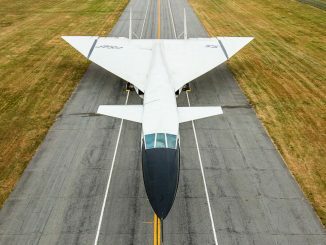 Bush and Clinton; the only remaining XB-70 Valkyrie; the C-141C Hanoi Taxi, which airlifted the first American prisoners of war out of North Vietnam in February 1973; the Space Shuttle Exhibit featuring NASA’s first Crew Compartment Trainer; and a massive Titan IVB space launch vehicle that weighs 96 tons.It took leaders in both industry and the military to field weapon systems and other important artifacts that are now on display at the museum. 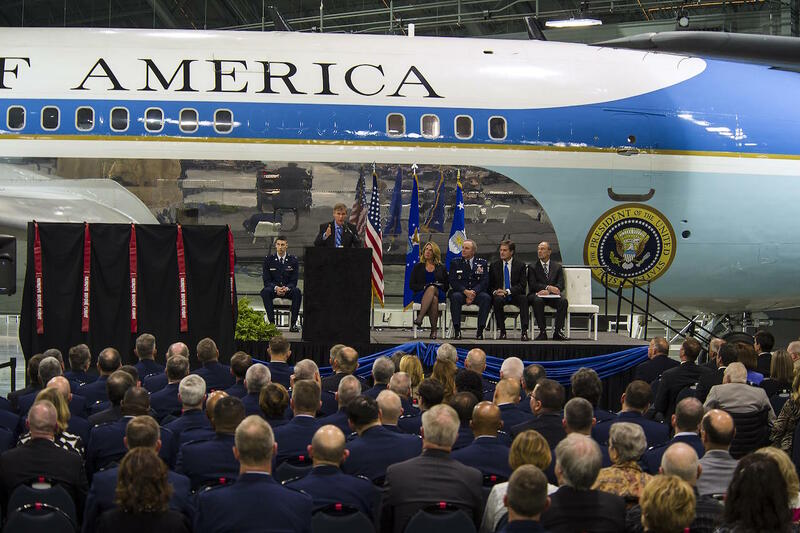 Many of these prominent aviation figures had a significant connection to the fourth building galleries, and deserve a special and lasting distinction as individuals whose legacy continues to further the U.S. Air Force mission today. Maj. Gen. Albert Boyd and Maj. Gen. Fred Ascani were two people who spent their lives in research and development. Boyd, commonly called the “Father of Modern Air Force Flight Test,” had a remarkable career as a test pilot. 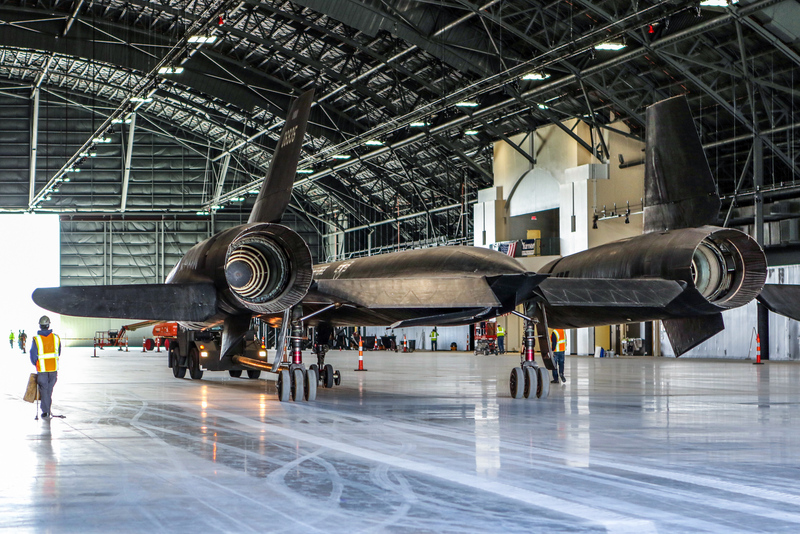 He flew over 700 types of aircraft including many of the experimental aircraft on display here, directed the X-1 program, and commanded the Air Force Flight Test Center. Ascani was an accomplished combat leader in World War II and became the Director of Experimental Flight Test and Engineering at Edwards AFB. 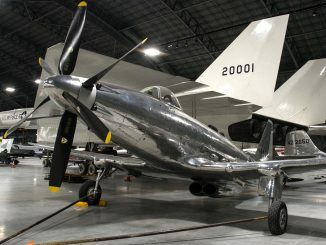 He also flew some of the aircraft on display in the R&D Gallery and managed the XB-70 program. Allan and Malcolm Lockheed overcame numerous challenges and setbacks and founded the organization bearing their names. 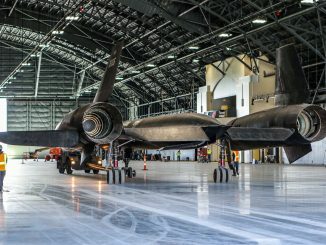 Their company grew into one of the Air Force’s most important producers of military rockets, aircraft and other systems that helped move America and the Air Force into air, space and cyberspace. 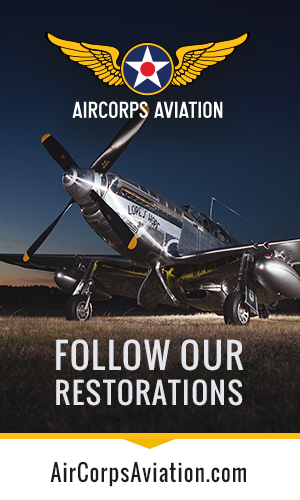 Martin helped develop the close relationship needed between the military services and American industry. He built many military aircraft between the 1920s and the 1940s, and the company he founded continued by producing such systems as the Titan launch vehicles, including the core of the Titan IVB. The first aircraft that carried a U.S. president was produced by a company founded by William Boeing. Aircraft from The Boeing Company have carried U.S. presidents for most of the time since then and continue to do so to this day. 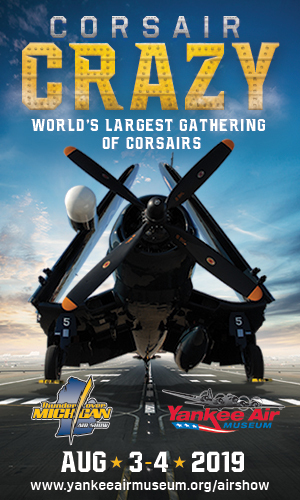 In addition to the numerous Boeing aircraft and missiles on display throughout the entire museum (including the B-17 Flying Fortress, B-29 Superfortress, B-52 Stratofortress, LGM-30 Minuteman IA and III, etc. 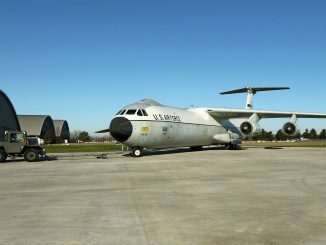 ), Boeing’s legacy is also on display with the C-17 Globemaster III (in the Air Park) and Bell-Boeing CV-22B Osprey (currently in the Restoration Hangar). William H. Tunner was known as the “Father of Modern Airlift.” During WWII, Tunner established the Ferrying Command that flew desperately needed American aircraft to the beleaguered British; organized the Women’s Auxiliary Ferrying Squadron (WAFS) that became the famous Women Airforce Service Pilots (WASPs); and commanded “The Hump” airlift over the Himalayas to China. After the war, Tunner commanded the Berlin Airlift operations in Germany – the newly created USAF’s first military operation. During the Korean War, he commanded the critical airlift operations into Korea, and as the commander of the Military Air Transport Service (MATS), he directed major strategic airlift operations during the Lebanon and Taiwan Crises. 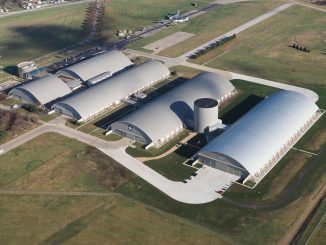 Where is the National Museum of the U.S. Air Force?